Each morning is a challenge for busy women – rushing around the home to prepare breakfast, finishing other tasks from the office, and whole lot more! So, how about your beauty routine? You might be skipping it. Oh no! That’s not good if you’re doing so. Especially when it comes to your skin care, you must pay a great attention. Lack of skin care can end up to dull skin, ageing, acne breakouts, and other negative effects. So, we’ve searched for skin care tips a busy woman like you can do to make sure you’ll have an easy and effective skin care routine. Wash your face every morning. Use with a gentle cleanser. First off, know your skin types before you use your daily face cleanser to avoid negative effects. In case you have dry skin, use a non-lathering facial cleanser. For oily skin, use a gentle foaming face. In case of sensitive acne prone skin, select an acne-fighting cleanser. Use toners. Not all facial cleansers carefully clean the trace of oil and dirt. That’s why it’s best to use toner. Use a swipe of cotton pad and dab with toner in your skin and you’ll see it will clean the dirt and residue left by facial wash. When you tone, your pores shrink which prevents acne and pimple from forming. Just remember, always use an alcohol-free toner. Always bring facial wipes or facial cleansing sprays with your accessories. Whether you have oily, dry or combination skin, everyone has to deal with oil and sweats. In case your work requires you to spend a great amount of time under the sun (if you’re working in the field, for instance), always bring a bottle of sunscreen in your bag. Apply every after 2-3 hours. When you got home after the whole day’s work, you may feel awful and look haggard. Imagine that sweaty, oily, and tired face… not a very good sight, right? Wash your face with facial cleanser and then use toner. Too, you can also spray some rose water to freshen up instantly. Here’s a bedtime skin care routine for you. Wash your face with a mild cleanser half an hour before sleeping. Or, you can just wipe your face with baby wipes. Dab your night cream and gently massage it to your face. You can also use a good and gentle eye cream. The best night cream is the one which is rich in antioxidants and other anti-ageing ingredients. The most important, get a complete and great night’s sleep. This is because our cell repair happens during our sleep. As we age, our skin is constantly renewing itself and shedding dead skin cells. Exfoliation can speed help us achieve a brighter skin tone. It’s not necessary to exfoliate daily. But it’s important to do this at least twice a week. Aster exfoliating, use toner and moisturizer. – Get a good night’s sleep. Nothing can replace that as the best form of rest. – Have a moisturizer and lip balm in your bag, as well as moisturizer, especially if you’re working inside an air-conditioned room. 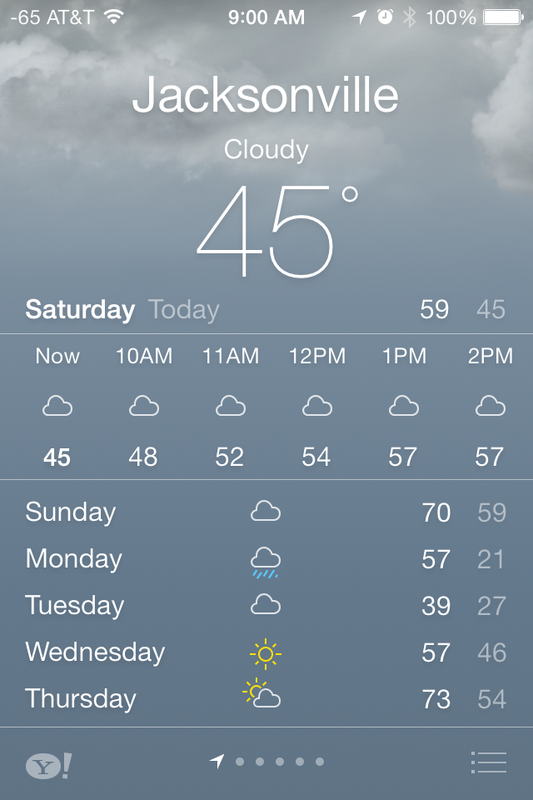 Winter certainly doesn’t want to go away easily this year even as far south as I am in Florida. Ok so I know it’s nothing compared to the rest of the country our 2 or 3 days of true winter here and there followed by a few days of spring-like weather but we’ve even seen snow flurries even here this winter. At any rate, the cold always wreaks havoc on your skin drying it out and in extreme cases leading to painful cracking. Here are some at home treatments to help. Blend 1 medium or large banana until creamy smooth. Apply over your skin, avoiding the eyes and mouth. After 15 minutes, rinse with clear warm water. 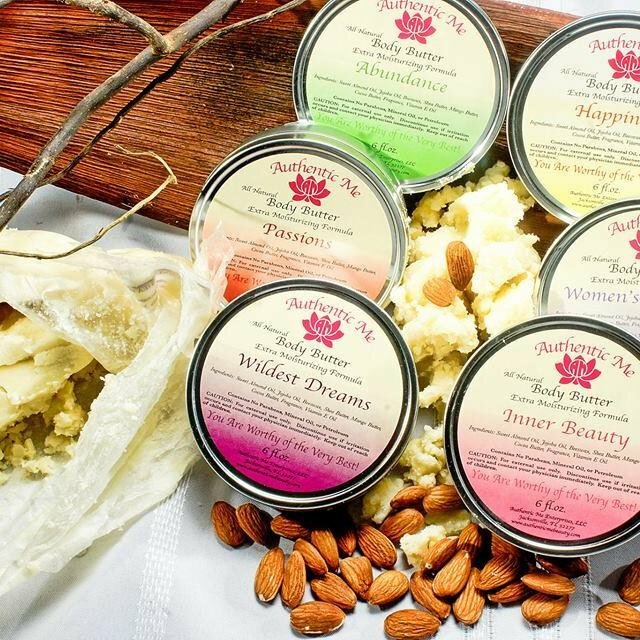 Also check out the body butters from Authentic Me Beauty. When combined with the exfoliants it leads to deep moisturizer that lasts. Until spring, stay safe, stay hydrated and moisturize. Any skin can look like great skin with the right foundation. In fact it’s the last step in protecting your skin from the harsh world out there. Find the right color. Smear a stripe on your jaw line, step outside and peer into a compact mirror-if the color looks right in daylight, it’ll look right anywhere. Smooth your skin. Moisturize and wait five minutes before applying foundation to get rid of flakes. Use foundation primer. Use four dots of foundation. Apply a dot on each cheek, one on your forehead and the lady one on your chin. Then spread in upward and outward strokes. Make sure to blend, blend, blend. Streaks are never cute. Powder up. Apply loose, translucent powder to your forehead, nose and chin – oil-magnet areas. Spritz on water. Misting makes foundation look ultra natural. Hold the bottle at least a foot and a half from your face and you won’t wind up feeling wet. Or alternatively use a setting spray for a dual use product. We mentioned earlier how we love Victoria Secret’s setting spray. Check back later for our review of Avon’s new spray. 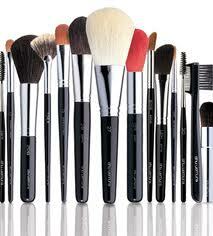 The other things to be discussed in this post are the often forgotten makeup applicators (brushes and sponges). There are great brush cleaners out there with easy to follow directions. Yet for some reason we’ve run across women who don’t realize that their blemish problems may be a result of a failure to purchase and use one of these cosmetic brush cleaners regularly. There are a number of Extrav options such as Bobbi Brown, MAC and Estee Lauder. We haven’t personally used any and would love to hear from anyone who has. The C2 option we recommend is Sephora Daily Brush Cleaner that starts at $7 a bottle. It’s a daily cleanser that’s particularly great for quickly cleaning off your brush when you’re going to use it immediately to apply a different color. Just spray a little on a tissue and wipe your brush off. The Value option is using something you already have in your bathroom, your shampoo. Make a applicator bath by mixing some shampoo with warm water in a bowl. Swirl your brush around and rinse. While it won’t disinfect it will sanitize your applicators and brushes. Whatever you decide upon, make sure to use it at the very least weekly. Your skin is dependent upon your actions for its clarity.